How to Convert to MTS or Convert MTS to Any Format? 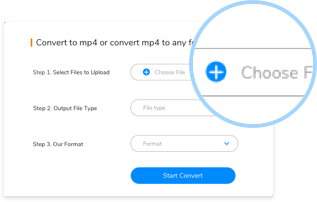 Step 1: Click the "Choose File" Button, select a MTS file or another video/audio file you want to convert. 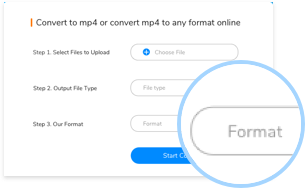 Step 2: Select a right file type, so that you can choose MTS or other format you want to convert fastly in the next step. 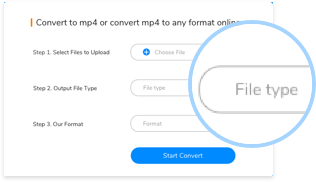 Step 3: Select MTS format or a format you want to convert, then click the "Convert" button, the file will be converted soon. An MTS file is a video file saved in the high-definition (HD) MPEG Transport Stream video format, commonly called "AVCHD."  It contains HD video compatible with Blu-ray disc format and is based on the MPEG-2 transport stream and supports 720p and 1080i HD video formats. MTS files are often used by Sony, Panasonic, and other HD camcorders.